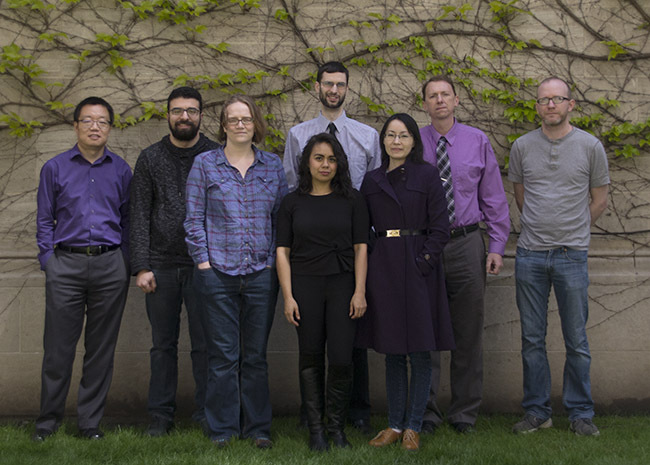 The NUSeq Core is a shared resource facility that serves investigators at Northwestern University, affiliated institutions and external academic and commercial organizations. The facility provides a wide range of next-generation sequencing and microarray processing options to meet your needs, in addition to other genomic services such as DNA extraction. In addition, we provide in-house bioinformatics analysis. Our trained staff can assist with every step of your project, from design to analysis. Learn more about our work via the links below. Read a message from our director, Xinkun Wang, PhD. Your support can help us meet our goals; contribute today. Anyone. We accept samples from all non-profit and for-profit organizations. For your convenience, there is a computer in the DNA Extraction Room (the first room on the left when you enter the core) if you would like to fill out the forms when you drop off the samples. Bring your samples direclty to the faclities lab location. Our regular hours are 8:30 a.m. to 5 p.. We also provides a 24 hour DNA sample drop-off service. Authorized NUSeq Core users may drop off sequencing samples any time by using your keycard enabled WildCard or Northwestern Medicine card. Drop off samples at one of the two courier locations in the Hogan Building, 2205 Tech Drive: Hogan 2-100, BMBCB adminstrative office, or Hogan 4-150. The couriers pick up the samples every morning and we receive them in the afternoon. Please send your samples through an independent carrier such as FedEx or UPS to the adress listed under contact us. Prior to shipping, please contact a technician to schedule delivery. At the time of shipping, please send an email notification with your express mail tracking number. This will allow us to watch for your shipment. We prefer that samples are sent overnight on Mondya or Tuesday so that we can guarantee someone is here to accept them. We will notifiy you when your shiment is received. All invoices are emailed to the principal investigator and the account administrator at the end of each month.